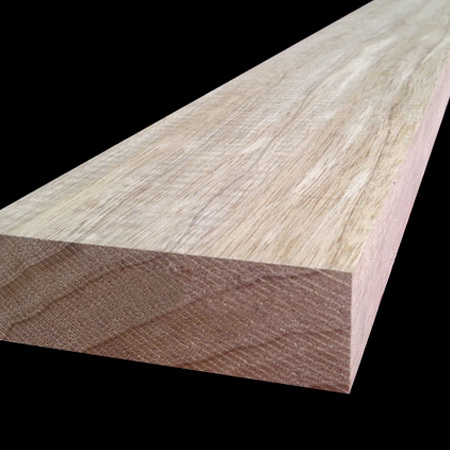 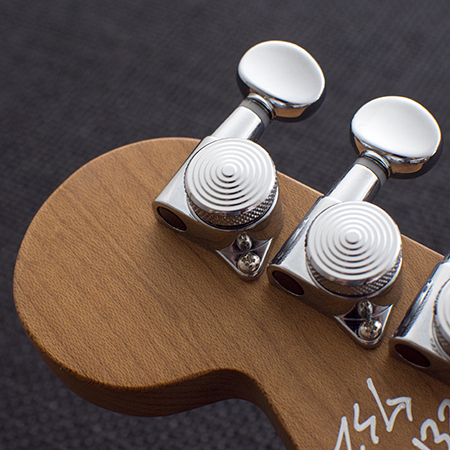 This plank may look standard at first glance, but it’s factory hot-rodded and stage ready right out of the box. 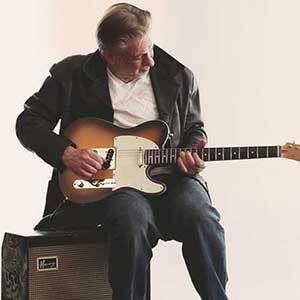 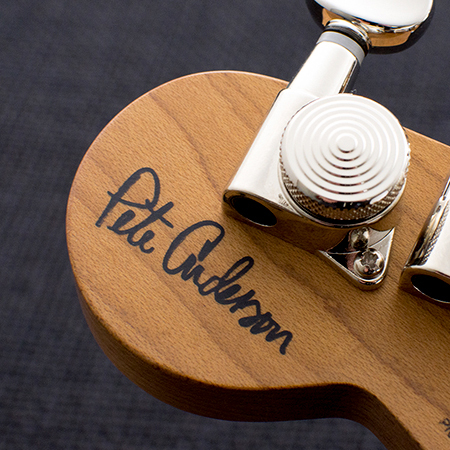 Country/roots-rock guitar legend and Grammy winning artist/producer Pete Anderson is well known for his vintage T guitar. 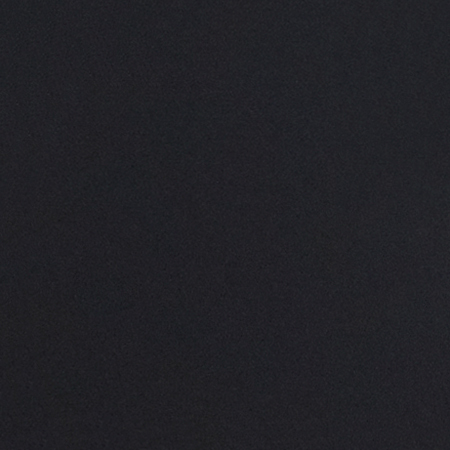 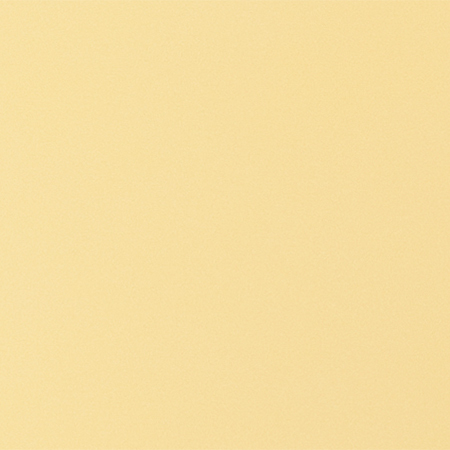 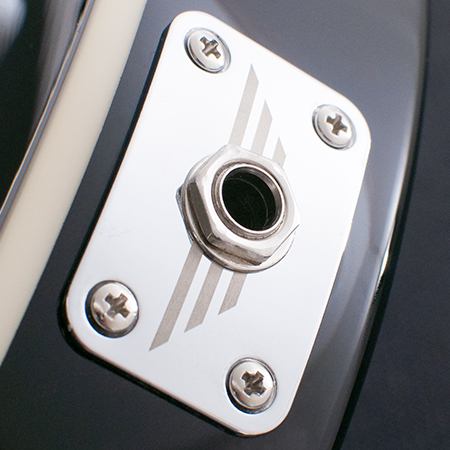 We worked together to modernize it while keeping faithful to the original character. 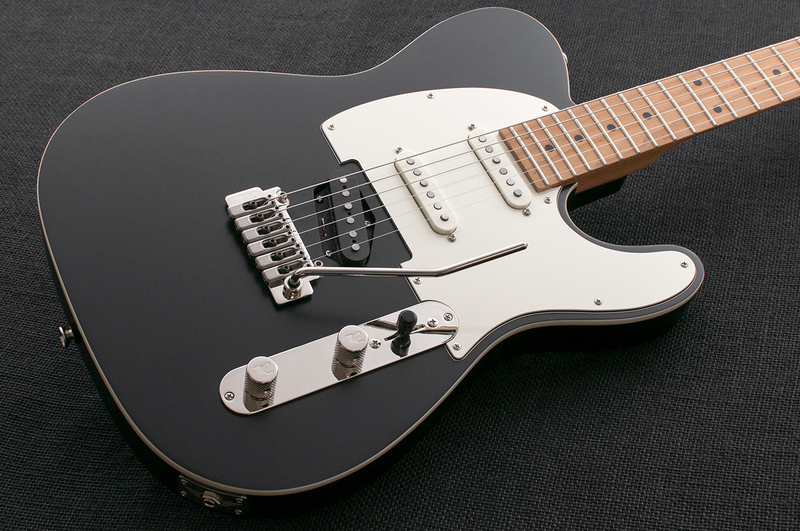 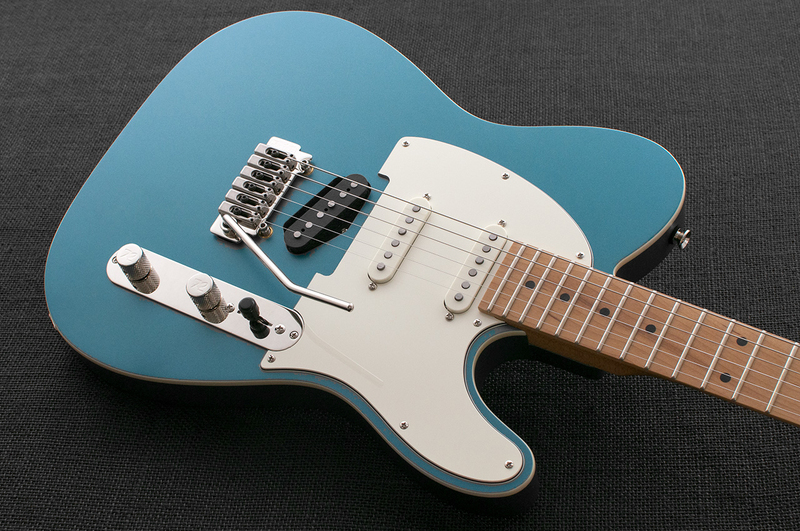 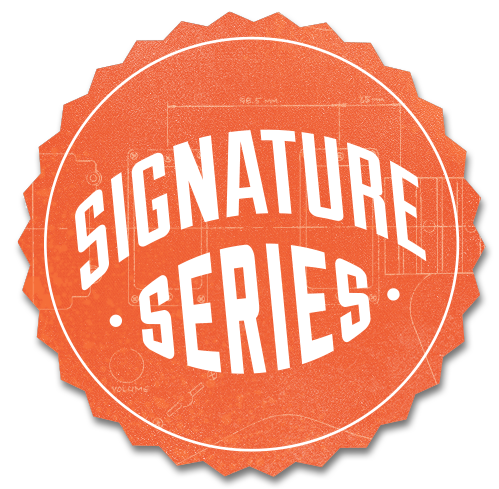 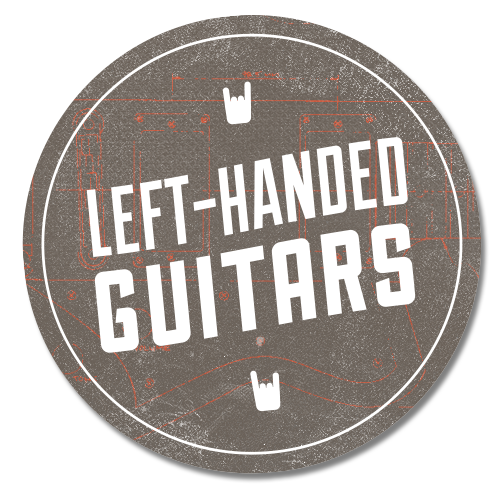 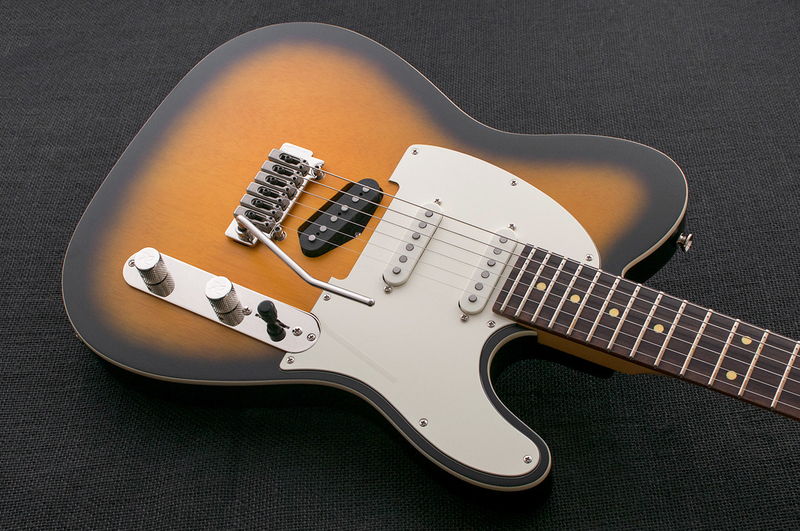 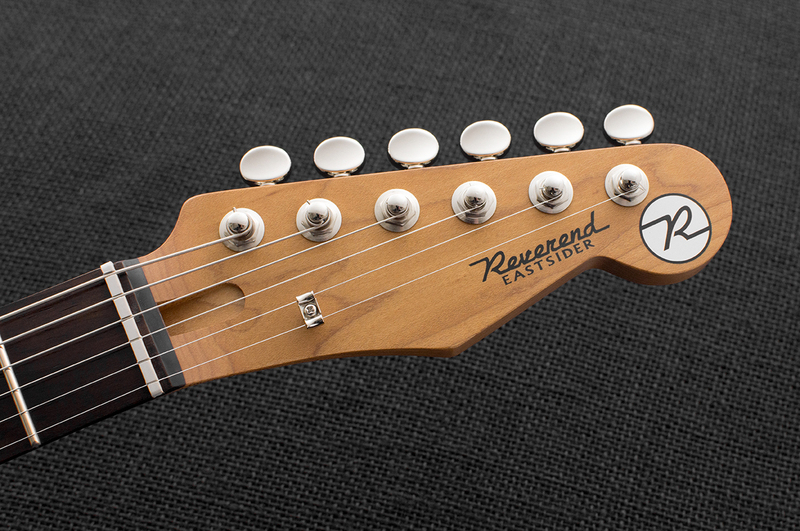 Modifications include: chambered body, stainless steel saddles, compound radius fretboard (10″ to 14″), "R" embossed knobs, and a push-pull studio switch in the tone control (turns on neck & bridge pickups together, allowing a total of 7 pickup combinations). 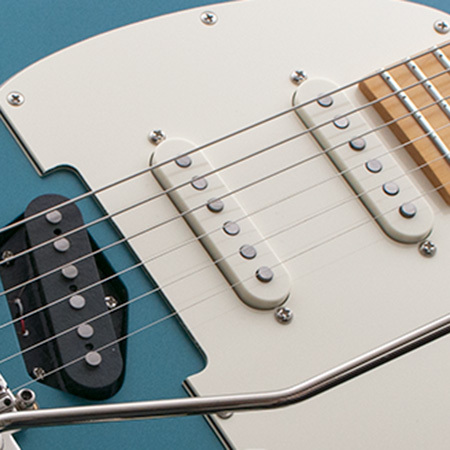 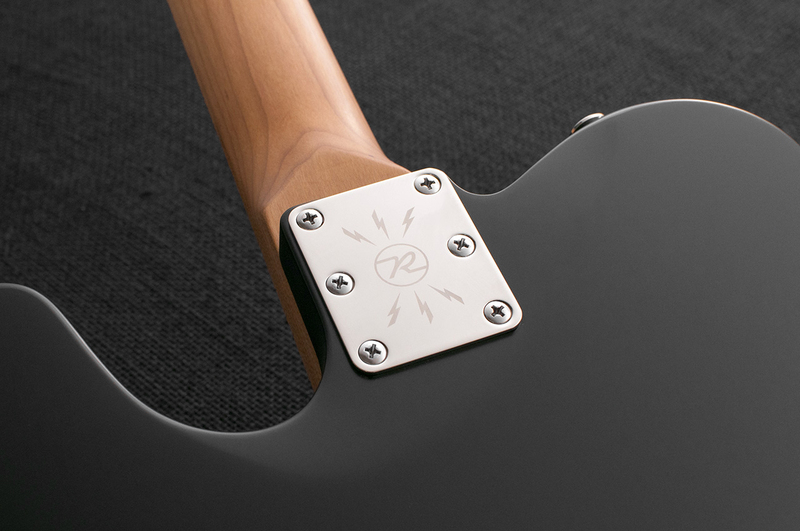 The Eastsider has three strategically placed chambers underneath the pickguard for all the increase in resonance and warmth that you'd expect. 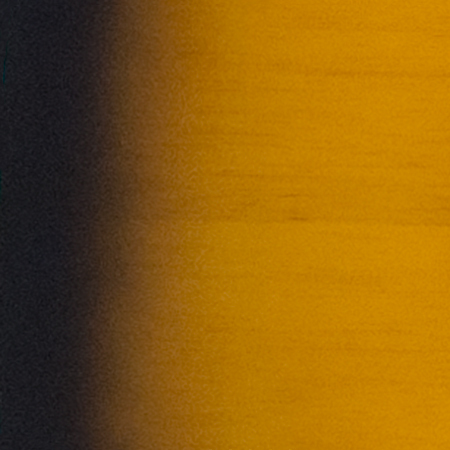 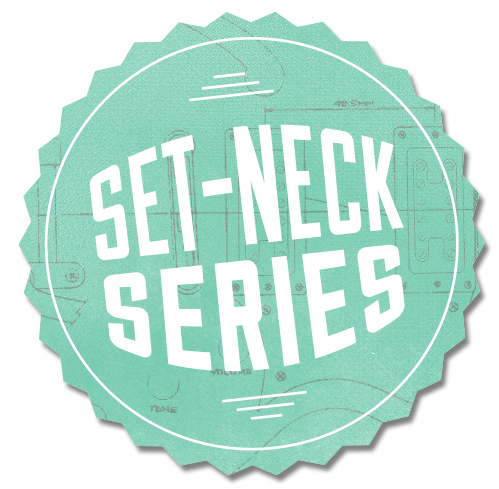 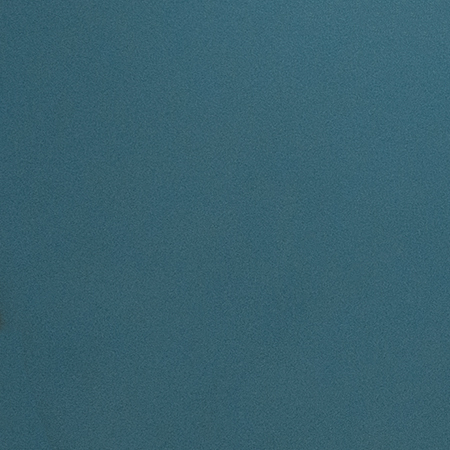 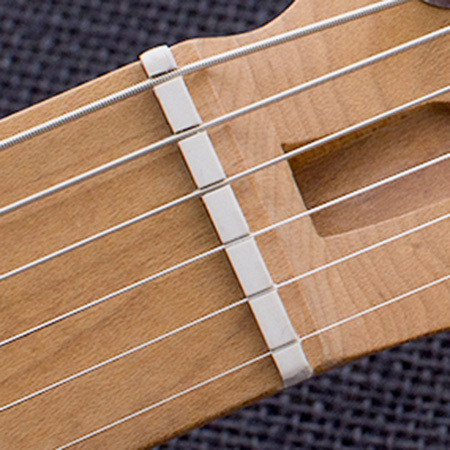 The placement of the cavities also reduces neck-diving balance issues found in most chambered guitars. 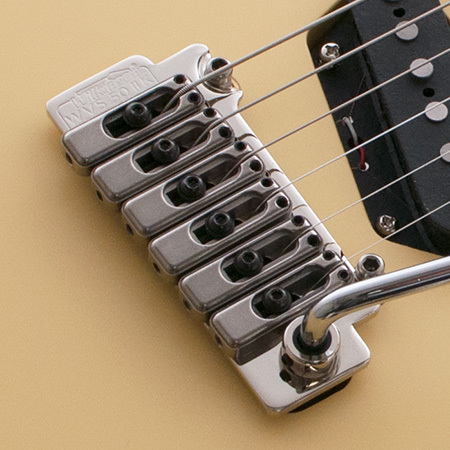 Features include saddles that lock to the baseplate, adjustable arm swing tension, and a push-in/no freeplay arm. 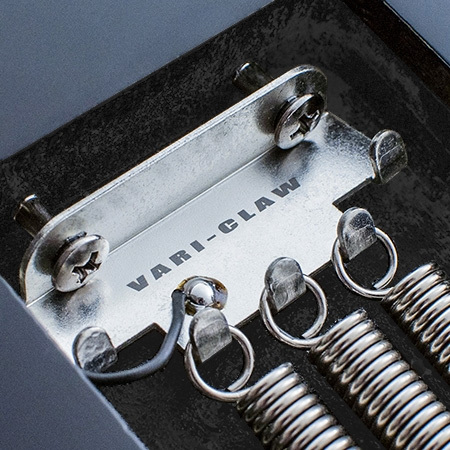 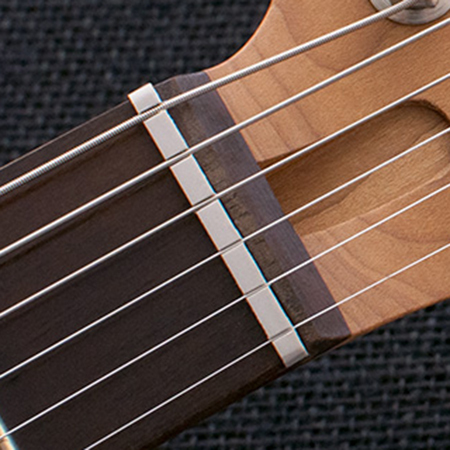 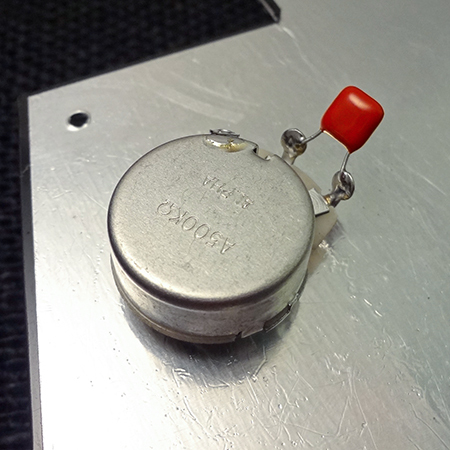 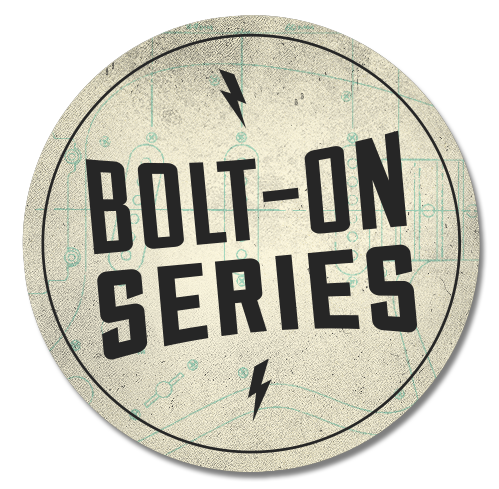 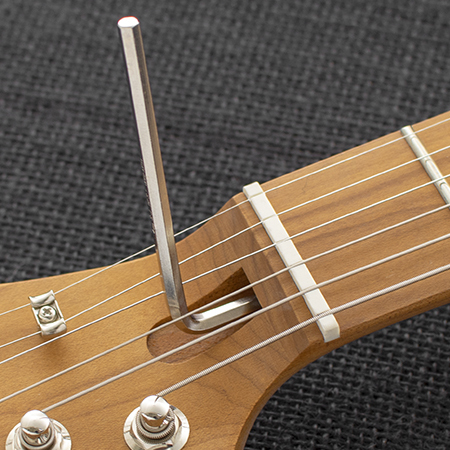 Combined with our boneite nut and pin-lock tuners, it stays in tune even under aggressive whammy action. 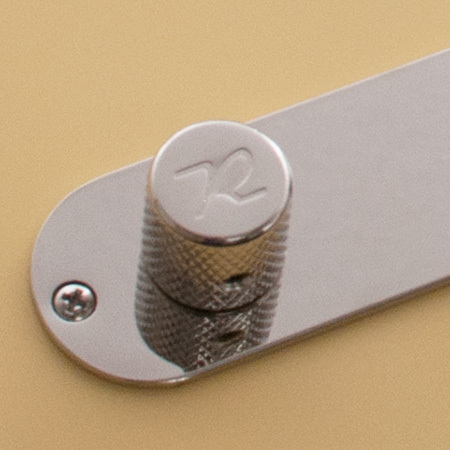 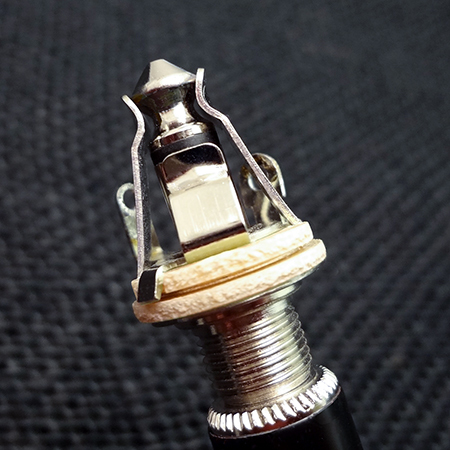 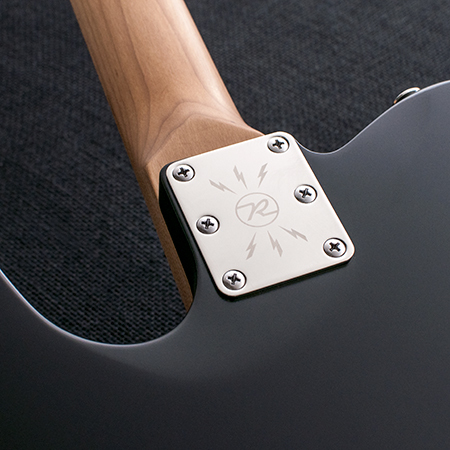 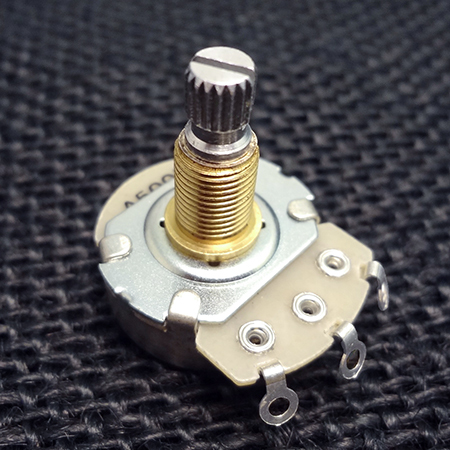 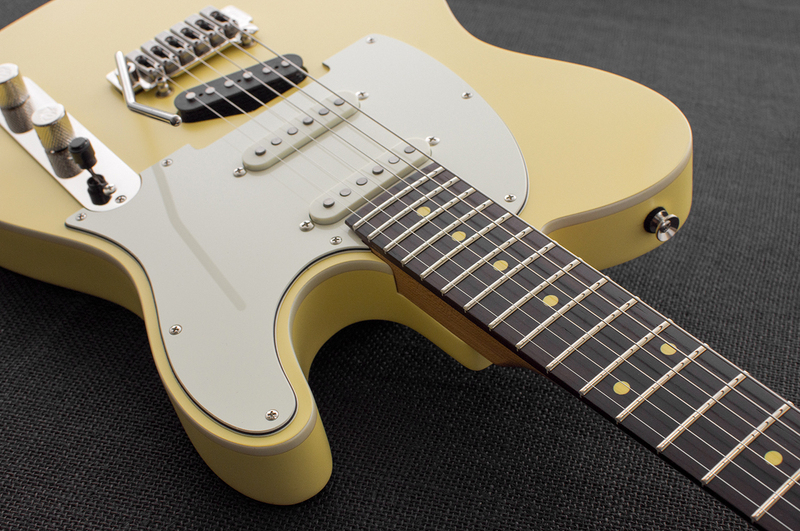 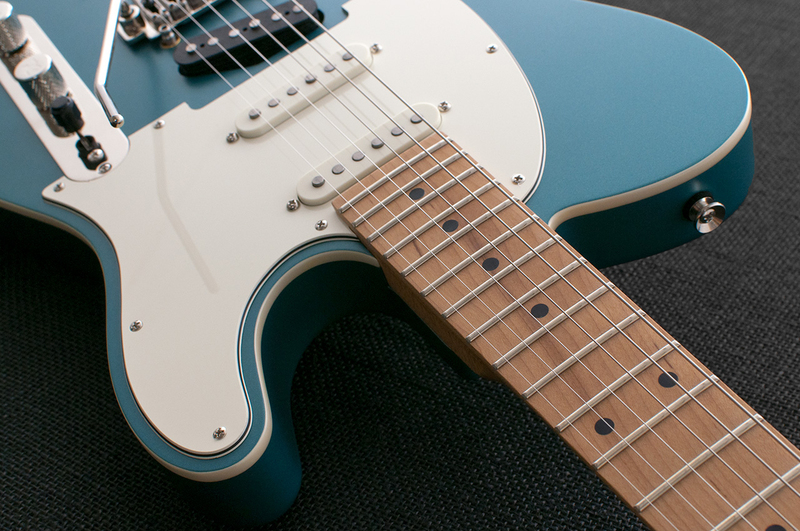 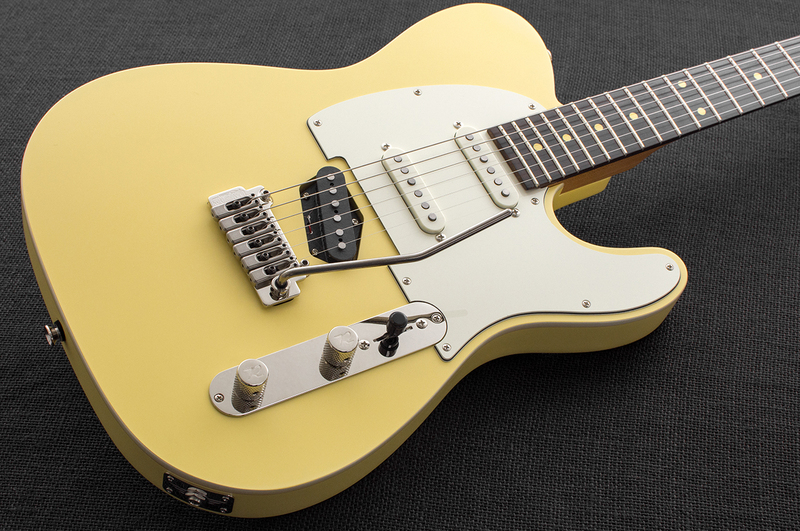 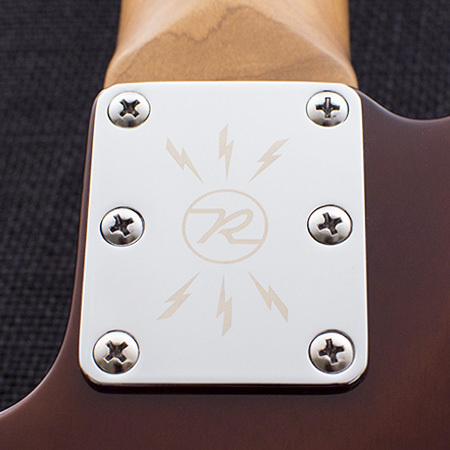 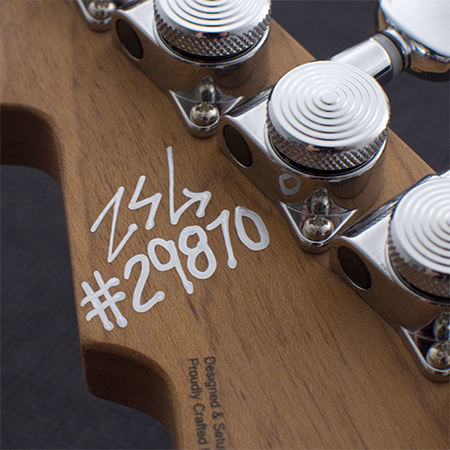 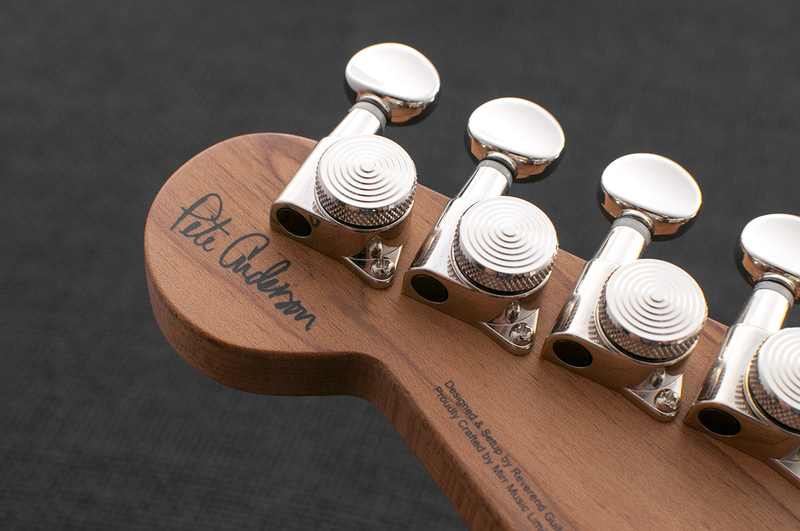 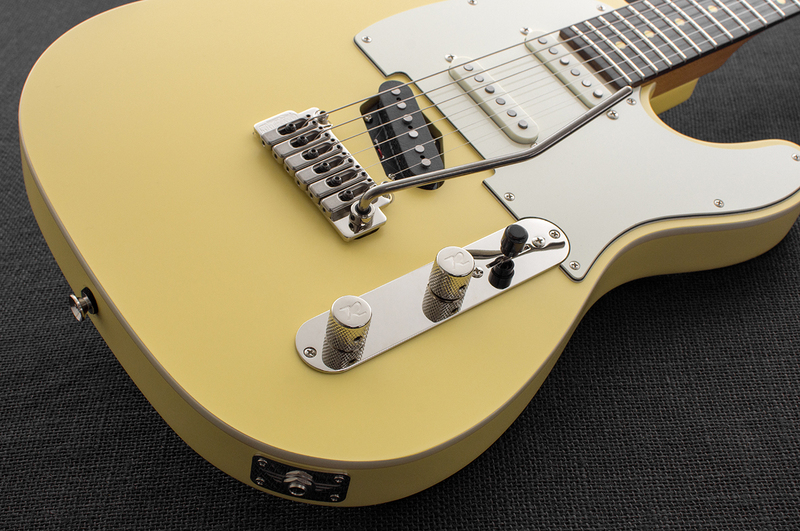 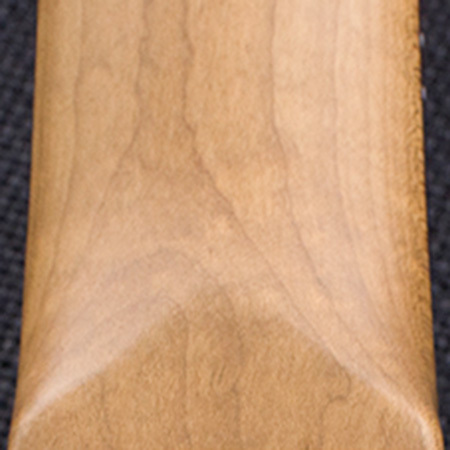 All Pete Anderson models have special knobs which feature an embossed "R". 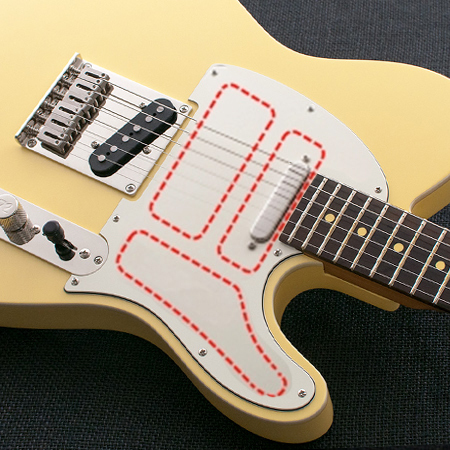 Custom cool!